More design:South Dakota love has graced the shiny pages of magazines and screens this spring. 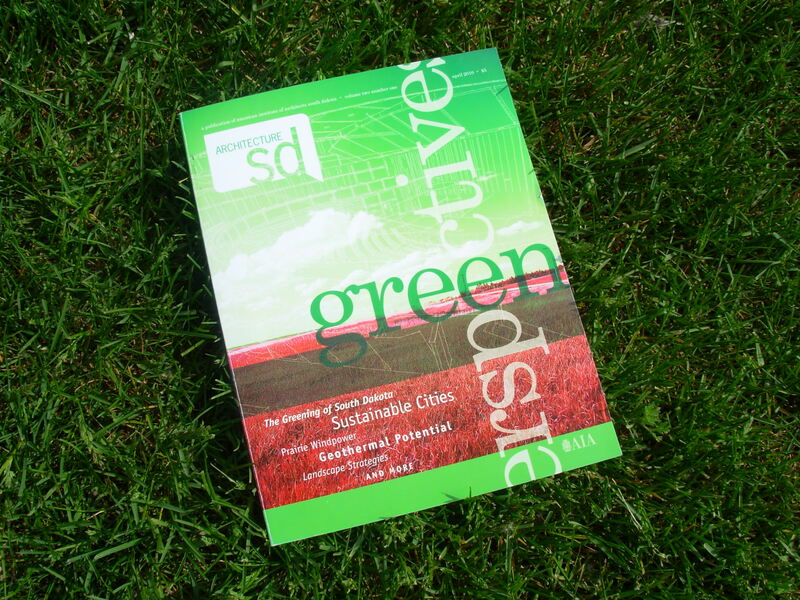 First, AIA South Dakota released their second Architecture SD magazine, titled “Green Perspectives.” The magazine showcased the efforts of many d:SD volunteers, including Tom Reasoner, Eric Ambroson, Matt Fridell, Joe Bartmann, Jim Wilson, Michelle Holter and yours truly alongside an article about design:SD communities Sisseton and Deuel County. And, earlier this month, Kristin Dispenza, an architect from Ohio, came across design:SD’s work at the Hill City Inside Out Symposium in April. She wrote a nice piece on the Rural Learning Center and d:SD at Buildipedia.com. Thanks to all who continue to promote our collective efforts!